Illumina has won FDA approval for its Extended RAS Panel, a next-generation sequencing (NGS) kit for use with the company’s MiSeqDx System to help clinicians identify patients eligible for treatment of metastatic colorectal cancer (mCRC) with Amgen’s marketed drug Vectibix® (panitumumab). Through the Extended RAS Panel, Dr. Hampton added, clinicians will be able to identify patients who may benefit from treatment with Vectibix. Vectibix was approved by the FDA in 2013 as the first monoclonal anti-epidermal growth factor receptor (EGFR) antibody indicated for use in combination with FOLFOX for first-line treatment for patients with wild-type RAS mCRC. Extended RAS Panel allows simultaneous detection of 56 RAS mutations contraindicated for anti-EGFR therapy. The test kit also offers integrated workflow as a comprehensive diagnostic solution includes library prep, sequencing, and clinical report. 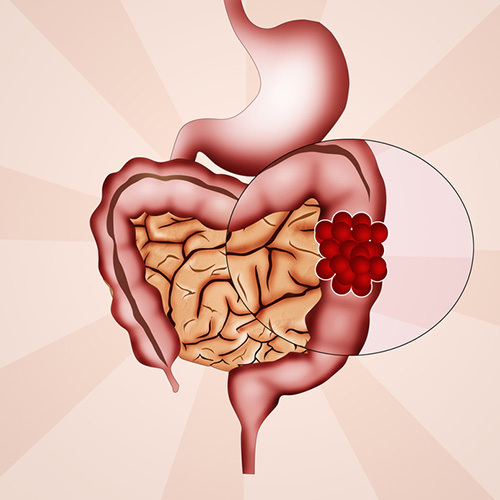 Additionally, according to Illumina, Extended RAS Panel meets recently-published guidelines for evaluation of colorectal cancer developed by the American Society for Clinical Pathology (ASCP), the College of American Pathologists (CAP), the Association for Molecular Pathology (AMP), and the American Society of Clinical Oncology (ASCO). The Extended RAS Panel is the third NGS-based companion diagnostic to win FDA approval. Last week, the agency approved Thermo Fisher Scientific’s Oncomine Dx Target Test as the first next-generation sequencing (NGS)-based companion diagnostic that screens tumor samples against panels of biomarkers to identify patients who may respond to one of three different treatments for non-small cell lung cancer (NSCLC). Oncomine Dx Target Test exploits high-throughput, parallel-sequencing technology to screen tumor samples for 23 NSCLC genes, to identify patients who may be eligible for therapy using the Novartis drug combination Tafinlar® (dabrafenib) plus Mekinist® (trametinib) for tumors with BRAF V600E mutations, or treatment with Pfizer’s Xalkori® (crizotinib) for ROS1 fusions, or therapy using AstraZeneca’s Iressa (gefitinib) for EGFR L858R mutation and Exon 19 deletions. In December, Foundation Medicine won the FDA nod for its FoundationFocus CDxBRCA for use as a companion diagnostic to aid in identifying women with ovarian cancer for whom treatment with Clovis Oncology’s poly(ADP-ribose) polymerase (PARP) inhibitor Rubraca (rucaparib). FoundationFocus CDxBRCA is a tissue-based, genomic assay designed to detect tumor BRCA1 and BRCA2 mutations, both germline and somatic, in ovarian cancer. Extended RAS Panel will begin shipping in the third quarter, Illumina said. “As our first companion diagnostic and PMA approval in Oncology, the Extended RAS Panel paves the way for broader-based genomics solutions and brings us closer to realizing the promise of next generation sequencing in the treatment of patients with cancer,” added Illumina President and CEO Francis DeSouza.